First I would really like to thank all of you wonderful people that participated in the YBR roundup. Not only would I like to thank you for submitting your delicious photos and recipes, but also for all of the hard work you have put into helping promote the event. I have to say that the inaugural roundup went above what I had initial envisioned for the first one, Rock on! I have been receiving so many emails and comments from foodies wanting to join us for the November YBR roundup and that is very exciting to see. I’ll be posting more on the YBR in the coming weeks. ( Phew!, one small part of the BIG project complete! ) I would also like to apologize for not visiting so many of your loves that I love reading, it’s just been so crazy lately with hardly any time to spare. I hope in the coming weeks things will settle down a bit. Today I have a special recipe to share with you, a creamy and spicy beet salad. The recipe comes courtesy of my dear friend Luba, who’s name means love. Luba is one of those friends or people many would feel blessed to have in their lives. When we met (7 years ago) she worked across the street from our previous flat. I couldn’t speak but a few words of Czech (OK not that my Czech has gotten much better), and she spoke only a little English at the time. Somehow we managed to strike up conversations and just took a liking for each other from the start. Well at the beginning she was the more extroverted one who struck up those conversations and countless invitations to “have a coffee and a chat”. Though I’ve never had a hard time making friends, I can be a very shy person. Particularly when I don’t know someone or am meeting people for the first time. It takes me a while to get comfortable and truly be myself. But when I do feel comfortable with you, there’s no turning back! I unleash my wacky sense of humor, tell inappropriate stories and jokes, and I start to give you a lighthearted hard time. While some have and/or could mistake my initial quietness and shyness as an arrogance, Luba never did and never has. She doesn’t judge me, she listens, gives advice and opinions, asks for my thoughts and opinions on countless subjects, laughs at my silly jokes, calls me clever, always has a warm smile, hug and kiss to give, is helpful, supportive, has shed both tears of sadness and happiness with me, gotten drunk with me, very reliable, sweet, kind, smart, giving and I could go on and on. We like to joke that we are a funny and exotic mix of friends because she is Ukrainian and I am Mexican and we met each other in Prague. Also we can relate to many similarities like the fact that Ukrainians are like the Mexicans of the Czech Republic. ( Two immigrant groups with similar struggles and hardships.) We can go weeks without seeing each other or even speaking and as soon as we meet its like we just spoke the day before, talking away and the time just flies by. In the time we have lived here other so called “friends” have come and gone and Luba is 1 of 2 real and true friends we have been blessed to have. She is just a wonderful person that I can say I’m very lucky to have in my life. She is family. This recipe came from one of those get togethers over lunch discussing food from her area of Ukraine. Within days of her telling me about this delicious salad, I gathered my ingredients and off to cooking I went. Before I get to the recipe I would like to tell you that the salad taste best when made with fresh horseradish root. But I know it can be hard to find in some places so you can substitute with the jarred commercially prepared horseradish. To make sure that using prepared horseradish would still have good results, I used prepared horseradish this time. If you are not accustomed to the taste you may want to start with a small amount first, as it can be quite a palate awakener. 1. In a large bowl combine all ingredients and gently stir until well incorporated. Taste and adjust to your taste if necessary. Serve the salad as a side dish or it also make a delicious spicy snack with some crackers or crusty toasted bread. I love this salad, it is sweet and spicy and so addicting. I love adding quite a bit more horseradish because it give me this weird tingly feeling in my sinuses and the back of my head. Similar to that brain freeze feeling from eating ice cream too fast. Oh, if you are ever suffering from a stuffy nose or a sinus headache eat some horseradish, trust me it helps. Do any of you get that weird tingly feeling in your head? 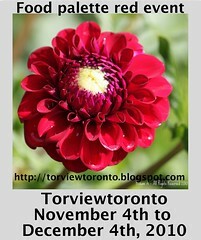 I am submitting my recipe to Torview’s event , Food palette red event giveaway , check it out! « Your Best Recipes (YBR) October Roundup, Yum and Wow! What beautiful pictures!! I am not a big fan of beets, but that salad does sound delicious, and I do love the colour!! Love beets and horseradish both- this salad sounds lovely! What a stunning beet salad…Oh, and yes I get that sensation too and from wasabi as well, and I love it! What a lovely story. Isn't it wonderful that at the end of the day, we all just love food and want to connect? A gorgeous salad and a beautiful friendship. A great story. We all need friends like that in our lives! Very kind of Luba to share her beet salad with you too because it looks gorgeous! :) We never liked beetroot till we came to Turkey and now we can't get enough of it! Lovely story. We will only have a couple of life long friends that we treasure very much. Interesting recipe and a lovely color…very vibrant! This is one of my favorite ways to enjoy beets (the other being shredded then fried, beet rosti or beet pancakes, if you will). I am totally with you on the extra horseradish. It just feels so good! I am not a fan of beets but the salad is gorgeous. What a wonderful colour! Great pictures. Your friendship with Luba sounds lovely. That's a sweet post! It's priceless for a great friend! It's for life. The color of the salad is beautiful and vibrant. Not only the flavor will make me feel better, but also the color will make me happy. I'm so glad you all enjoyed ready about my friend and that think her salad looks delicious. Thank you. @Alisha, Yes Wasabi! Love it too. You said it so perfectly! @Priscilla, ohh that sounds so good, and I do remember seeing that on your blog. @my boyfriend cooks for me, that sounds delicious! I love this salad! Looks wonderful! Oh wow! I didn't even know this was going on.. well done! What a beautiful salad!It sounds delicious! p.s. I think a lot of people interpret shy people's stand offish-ness as arrogance due to feeling rejected by the shy person. Little do they know the shy person isn't usually thinking anything arrogant or bad about said person at all…! The shy person is just shy (smile again). @Stella, Thank you for understanding :) Yeah those crackers in the bottom photo are so good. They are like a mix between a cracker and a crusty toast. I never thought about it like that, but you are right it couldn't be further from arrogance at least from my part, hehe. Hi Nancy. Love the flavours combo. The sweet beets and spicy horseradish. Yum. This sounds wonderful! I love horseradish and beets together! 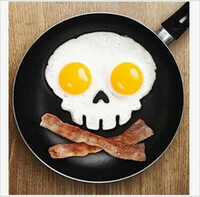 Great recipe :)! Would you believe me if I told you I make beets for the color and then give it to others because I am not wild about them? I just love cooking with them! (And my husband loves eating them.) This is beautiful! Oh Nancy I love this salad! It's particularly good on toasted rye bread. Isn't the color brilliant?! Here we also add some minced walnuts into this salad, you could try that next time if you wish! @Torview, Thanks for the opportunity. @Sandra, Really, I'm so glad to hear that you loved it:) I'll have to tell Luba too. @Claudia, Oh that's too bad but beets are beautiful to cook. @Alina, thanks for the tip I'll have to try that next time.